A few years ago, I boarded a Southwest Airlines flight from Chicago to Kansas. The flight was full and delayed due to passengers who were left behind. The airline provided live entertainment with a humorous special program, enacted by the air hostesses, thus drawing our attention away from the frustrating delay we were experiencing. After about 20 minutes, a woman accompanied by her four year-old son boarded the aircraft appearing tired and weary. The pilot came on the PA system and announced that although our flight was delayed, we should be able to arrive in Kansas City on time. "McKinsey & Company cites the example of an airline deciding whether or not to hold a plane for 15 minutes to await the arrival of connecting passengers. In reality, it will take 32 minutes for the passengers and their bags to make it onto the plane because of the specific locations of the gates and airport traffic conditions. If the plane waits, the airplane will forfeit its take-off slot and eight other passengers will be in danger of missing their connections at the destination airport." Gregory says that without analytics, there's no way to take all these factors into account when making a decision. The airline has to make its best guess and deal with the consequences. Add analytics to the equation, and the airline can run an algorithm that considers the arriving gate information, walking and baggage transport time between gates, the cost of re-booking passengers and the frequent flier status of the affected passengers. Consequently, the airline can foresee that the 15-minute hold will likely turn into a 30- or 40-minute delay, and it makes a decision accordingly – how's that for clairvoyance? Big data isn't as complex and scary as it sounds. Big data is starting to change how organizations are structured, and airlines may need to rethink how they operate as a result of big data. We are also familiar with disruptive technologies that have an impact on our everyday lives, such as: Uber transportation, commercial drones delivering groceries and food to our doorsteps, 3D printing, smart homes, blockchain technology, advanced virtual reality, medical innovations, Internet of Things, remote security systems for our workplaces and so on. From using weather patterns to predict sales, to combining data from web search trends, social networks and industry forecasts to predict product trends, along with forecast demand to pinpoint customers and optimize pricing and promotions, big data is used to formulate many types of predictions in the daily economics of life. However, in the industrial realm, many businesses are still figuring out how to apply big data, artificial intelligence, cloud storage, connectivity, mobility and social media to look beyond their own needs to support their customers. Airlines are now using big data to enhance the passenger experience and cultivate high-value customers. Big data provides airspace data, operational data and general information messages, and it has built-in support for data analytics. Businesses use data analytics to obtain knowledge in specific areas of interest from a structured and unstructured mass of raw data. Another key to proper use of big data is automation. With the positioning of accurate data and the right analytical tools, you can create adaptive algorithms to counter competitor pricing. An airline may have extensive data assets about previous customer purchases, frequent flying, discount offers, mobile, social media, website data, loyalty programs and reservations. It could incorporate machine learning to identify numerous patterns of customer behavior that led to a purchase. 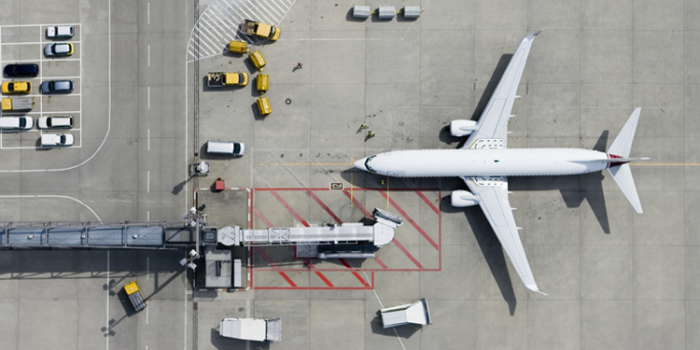 Big data, advanced analytics and artificial intelligence are poised to become central assets in improving operational efficiency and customer experiences across the airline industry over the next five years. Cloud deployments of BI and analytics platforms have the potential to reduce cost of ownership and speed time to deployment. The cloud can deliver critical information in real-time to a reservations app that runs continuously on their desktops, iPads, iPhones, Android, laptops or mobile devices. The cloud allows airlines to engage mobile and social channels anytime, anywhere and at a reduced cost. Businesses have spent tens of millions of dollars collecting data about the activities of their customers, but have struggled to put this data to good use. Machine learning holds the key to unlocking the value from big data. Machine learning systems are used to help computers identify patterns from big data sets and enable them to perform tasks such as predicting consumer behavior and forecasting how people will react to different marketing strategies. An algorithm that extends an artificial intelligence technique to new tasks could aid in analysis of flight delays and social networks. Ying Liu, a graduate student in MIT’s Department of Electrical Engineering and Computer Science, applies this technique to several sample data sets, including information about commercial airline flights. Using only flights’ scheduled and actual departure times, the algorithm can efficiently infer vital information about the propagation of flight delays through U.S. airports. It also identifies those airports where delays are most likely to have far-reaching repercussions, which makes it simpler to reason about the behavior of the network as a whole. Perhaps one of the most obvious ways better data can be a strategic advantage is in personalizing the airline offer. Airlines are looking at cloud technologies to deliver passenger services, such as luggage drops with label printing and self-boarding gates. Software upgrades are automatically updated while at the same time keeping abreast of the latest technology, safety guidelines, regulatory compliance, aircraft servicing logs and history. The presence of cloud software companies delivers a powerful platform for aircraft maintenance, repairand overhaul, which is designed specifically for airframes, engines and components. Airlines like Emirates, Cathay Pacific, Gulf Air, Southwest, All Nippon Airways, Delta, Virgin America and West Jet are among the many airlines that have adopted cloud computing systems for management of aircraft maintenance records. By applying principles of big data, machine learning and cloud, it’s possible to optimize many aspects of aircraft operation. Analytics is an important branch where the airline can foresee any delay and make decisions accordingly. Data is also made available to the airlines, which includes those airports where delays are most likely to occur and have wide repercussions. Needless to mention, analytics renders it simpler to reason about the behavior of the network as a whole. This includes those related to design, construction and operation – and allows airlines to turn ordinary data into real-world insights. Moreover, airlines can now create comprehensive profiles on all of their passengers using data from a number of different sources, such as attribution and path to purchase, social media, search, mobile and location-specific data, in tandem with buying patterns. The ability to embed and extend analytics content will be a key enabler of more pervasive adoption and value from analytics. New technologies like NoSQL, MPP databases and Hadoop have emerged to address big data, machine learning and cloud challenges and to enable new types of products and services to be delivered by the airlines’ value chain.